Flat Art — such as a photo, a drawing or a printed image. Digital File — we accept most formats, such as JPEG, PDF, Photoshop, Illustrator, InDesign, Microsoft Word, etc. We can do a simple layout for you — such as a text message. Our turnaround time is next day** (rush service available). 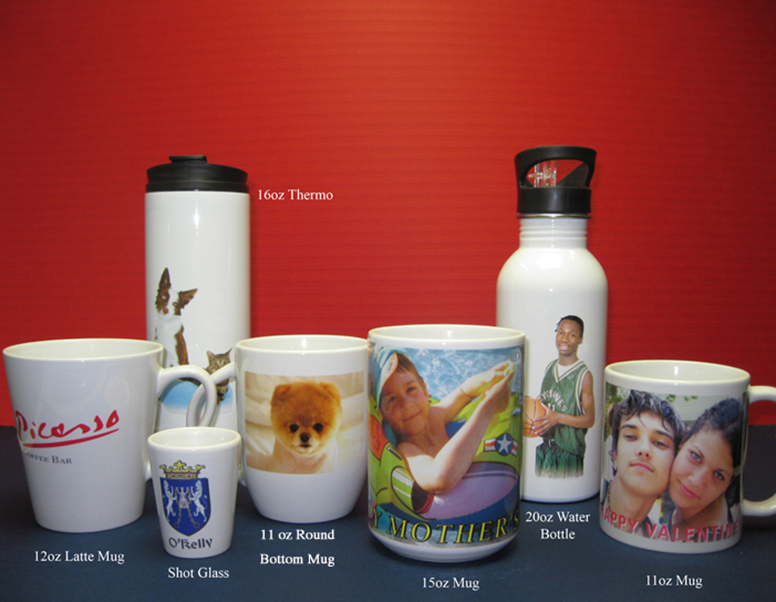 Stop by and see how easy it is to get quality T-Shirts, Mugs, or Buttons with your favorite design on it. * Heat-Transfer printing process is only available for white T-Shirts. Turnaround time for a large quantity may take more than one day. 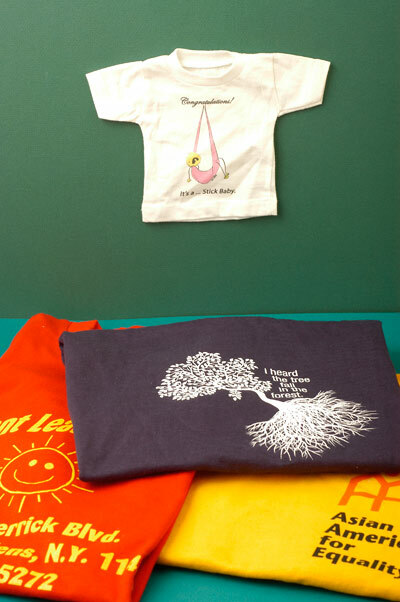 * Silk-Screen printing process is available for color T-Shirts with a maximum of three colors. Minimum order is twelve shirts per design and standard turnaround time is five business days. ** Turnaround time for a large quantity may take more than one day. When you want a special cut — for the cover of your report or for an enclosure that is uniquely designed for packaging — we can make the die and the cut for you. See what our Die Cut service can do. Copyright © 2010 Paperboutique. All rights reserved.